K&L Trainz is a small 3 member collaboration of rail enthusiasts named Steve, Bill and Mark, who together create high detailed steam locomotive add-ons for Trainz Simulator. Since it’s founding in March of 2012, K&L Trainz has grown exponentially each year and has an ever growing library of locomotives and rolling stock covering almost 3 dozen railroads from both the US and Canada. 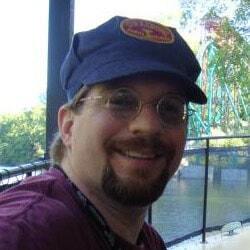 Born and raised in the suburbs of Philadelphia, PA, Steve’s love of trains has evolved from watching Amtrak trains in his backyard, to HO scale modeling, to partaking in railroad photo charter events, to operating and firing 3 steam locomotives, to finally building his own virtual trains. He has a college degree in computer graphics, with almost 2 decades of experience with digital media design, along with over a decade as a studio recording and live performing percussionist. His experience with Trainz extends back to 2000, with his first models being an EBT Orbisonia Station released in 2003 and a CN 2-8-2 released in 2005. Steve handles all of K&L’s modeling, animations, texturing, sounds, promotions, website, sales and tech support from his residence in Cape May, NJ. 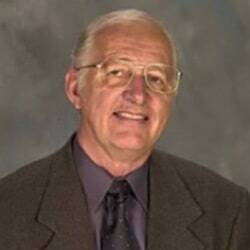 Bill is a native of south eastern Indiana. He is also a veteran of the Vietnam War, having seen service both active and inactive as an Aircraft Nondestructive Inspector for the US Air Force. After his tour in Vietnam and the Philippines, Bill went on to become a college professor in Illinois, which he did for over 30 years. Now that Bill is retired, he enjoys visiting his family across the country, working with modeling for Trainz, and teaching online Skype sessions focused on locomotive construction. Recently, Bill was tasked with digitizing the entire Mainline Modeler library for Hundman Publishing. Bill’s experience with Trainz extends back 1999. His first models were a NYC Switch tower released in 2002 and a PRR E6 released in 2006. Bill resides with his wife in Crown Point, IN. Mark grew up in northern Delaware. His parents fueled his childhood love of trains by taking him to watch Amtrak trains along the NEC, and to every steam excursion railway they came across. 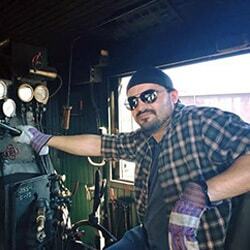 He has volunteered for the Wilmington Western, and currently volunteers with the PRR Technical & Historical Society. He attended Delaware Technical & Community College for Computer Networking Engineering, and has over a decade of experience as a software tester. Mark joined K&L at the end of 2013 and acts as the designated beta tester, e-spec creator and the main researcher for reference material. Mark resides with his wife and two daughters in Wilmington, DE.